Monica Harmony x Style Bubble: Meeting Susie Bubble! 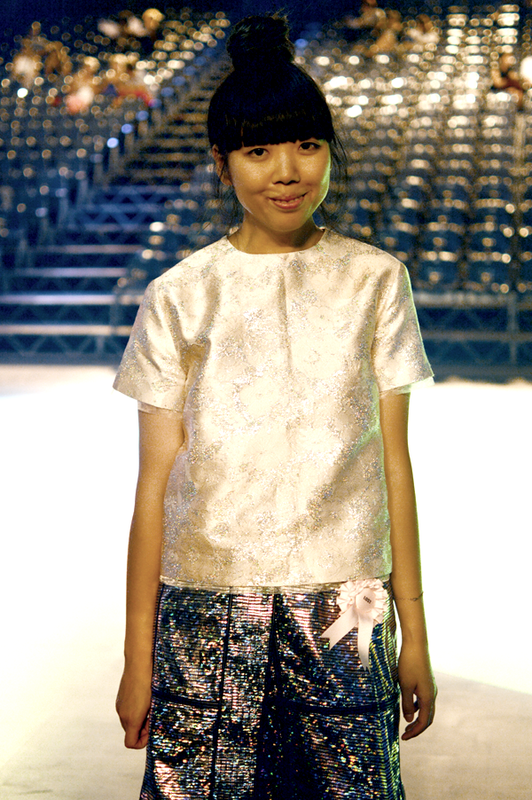 As seen in my last post, I worked during the show of the Fashion Academy of Antwerp. 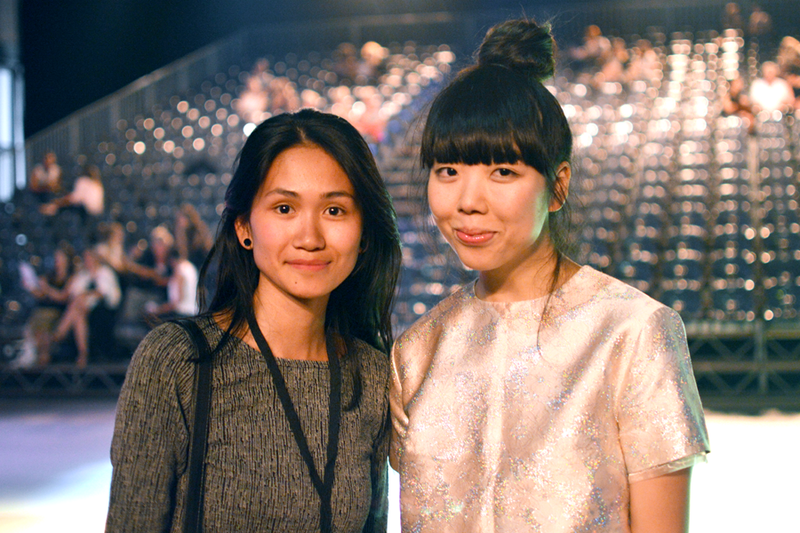 One of the highlights of the evening was meeting Susie Lau aka Susie Bubble aka Style Bubble. She was one of the judges and was present during the show. I turned on my fan girl mode because I had to have a picture with her! I made it my mission to immediately approach her when the show hit its break. My inner ninja allowed me to maneuver through the crowd and I finally approached her. To my surprise, no one else seemed to ‘stalk’ her for pictures. Maybe it’s just a blogger thing? Anyway, mission completed because I got to meet Susie Bubble! Just two Chinese girls casually talking, It amazes me how humble she was! It made my day! Her advice for ‘noob’ bloggers: ‘You need to distinguish yourself and specialize your blog.’ Basically, don’t go blogging about this, that and everything. Choose something you truly care about and blog about that. YES SUSIE! Mentally noted! Super leuk dat je haar hebt ontmoet. Lucky you! What a beautiful shot of you two together. It’s great to hear that she’s lovely in person too. Cute! Love the shimmer on this look. Do you mind follwin each other via GFC? Just let me know and I’ll follow u right back. Congrats!! I love Susie!! You are so pretty! Nice post 🙂 I like it! Following you now,hope you’ll do the same. Very cool! What a fun opportunity! I find it hard to be a specif niche blog because I get bored of writing about one single thing. But to be honest, being a superblogger is not on my goals list anyway. She’s really nice. I met her at LFW last season, when we were both front row at Marques’Almeida xD I was embarrassed to talk to her, but she was delightful. This top is beautiful =). ! Wow! Amazing pic, she is great !! Your top is cute Monica:). I love to meet with the humble person:). wonderful shot of you two! Thanks for your lovely on my blog:). Wow, what an opportunity, lucky you! That’s so cool, she’s like one the bloggers I would love to meet. I follow her blog religiously. I’ve heard of her but never really looked into her material. I’m glad to see you had a chance to meet her! Looking good gals! I’m starting a blog about poetry, books and words, true words, love to have the honor of your visit!